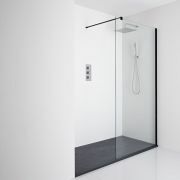 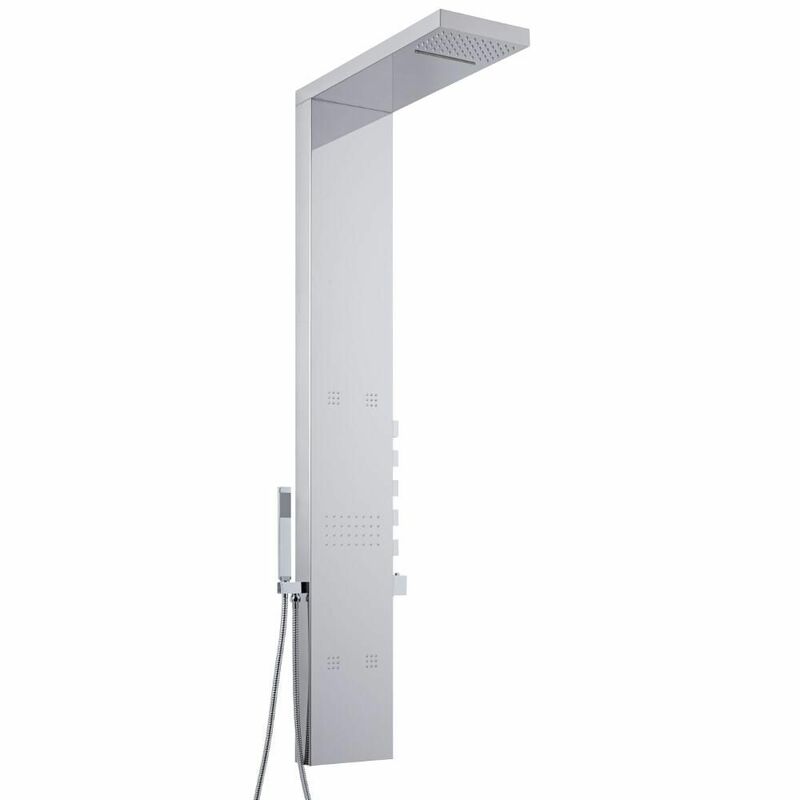 Stylish and practical, this thermostatic shower tower from Milano is sure to make a design statement in any modern bathroom. Providing smooth and precise control over the flow and temperature of the water, this easy to use thermostatic shower panel incorporates anti-scald technology for total peace of mind. 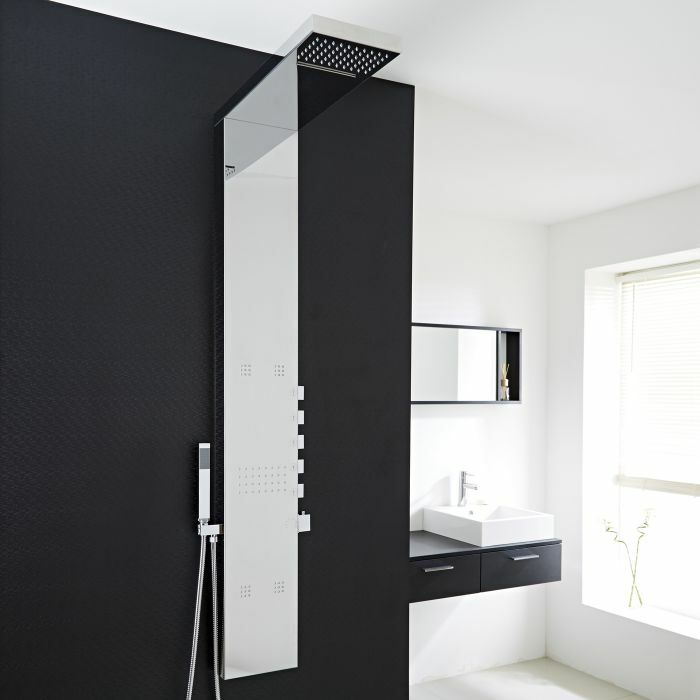 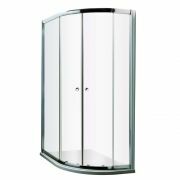 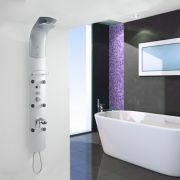 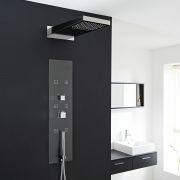 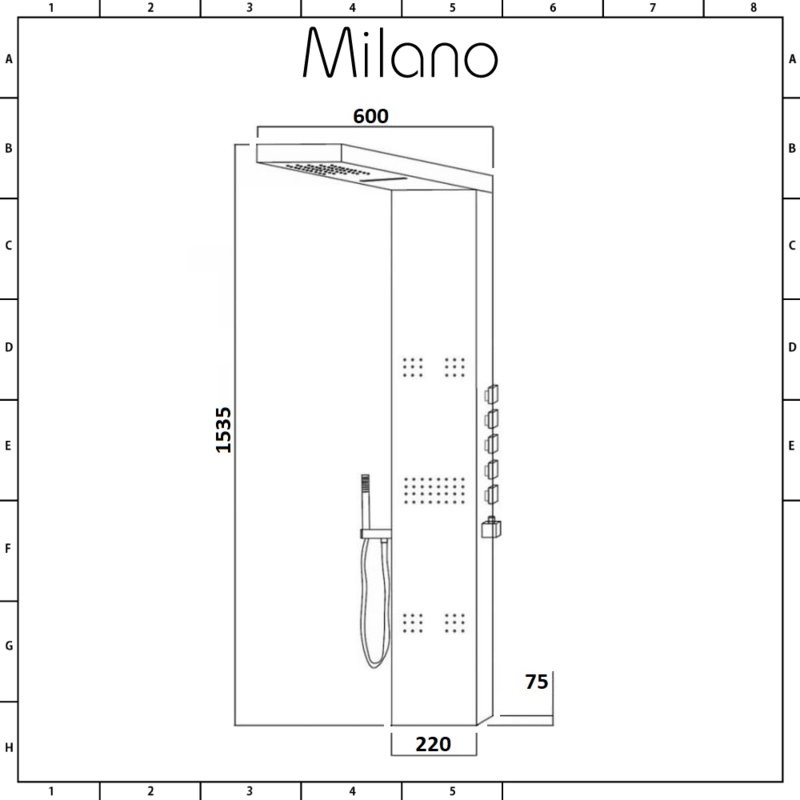 Delivering a sensational showering experience, the Milano shower tower panel features a shower handset with hose, five massaging body jets and a fixed shower head with waterfall function. 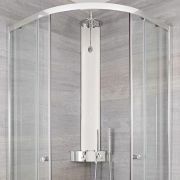 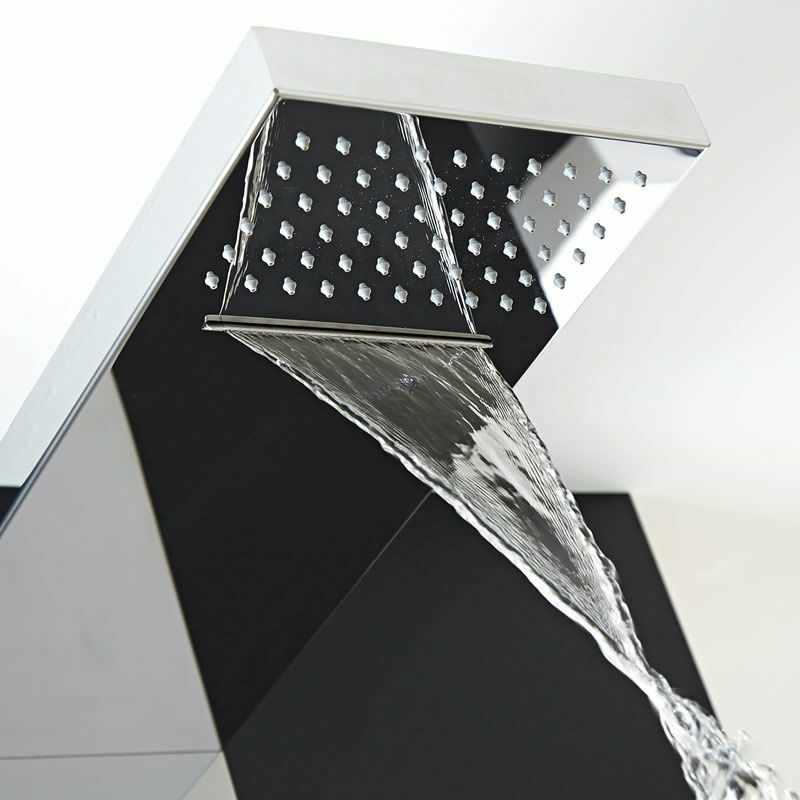 The shower tower has a chrome finish to blend in with any bathroom decor. 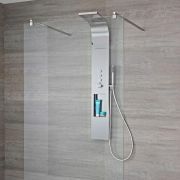 The handshower is made from ABS. 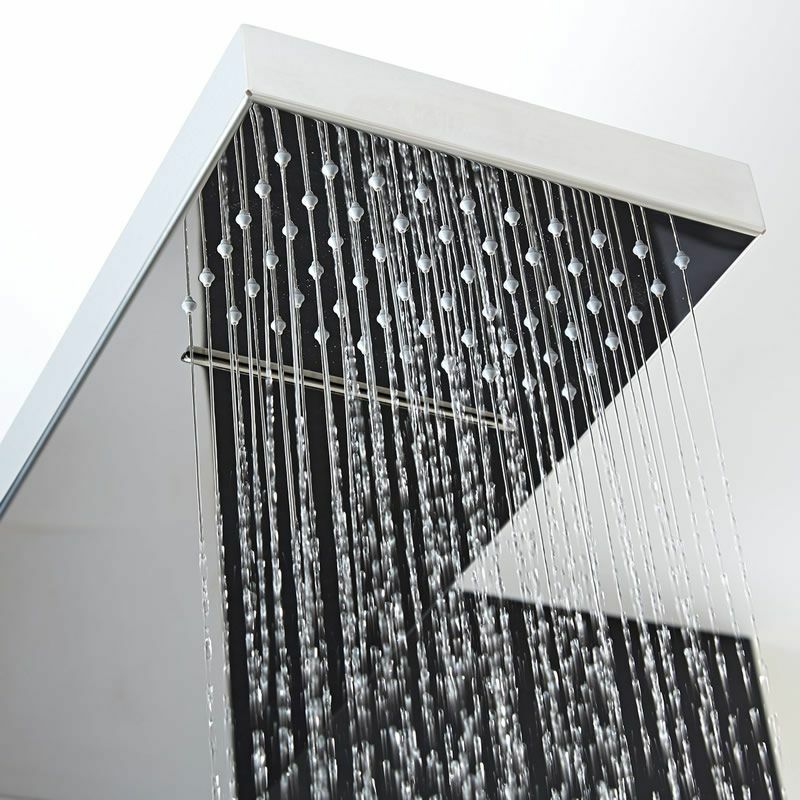 ABS is strong and durable, and resistant to heat and chemicals. 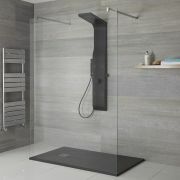 ABS is also lightweight to help prevent damage to the surface of a shower tray or bath. 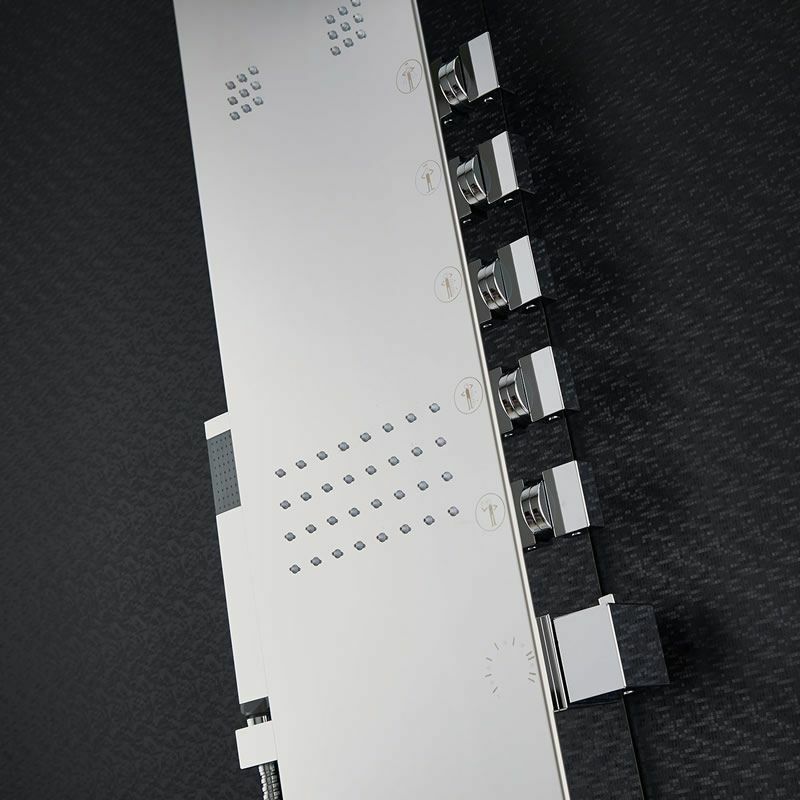 A recommended minimum operating pressure of 2 bar is required for best performance.